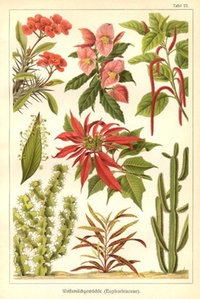 The title, ’Euphorbia', relates to the flower Euphorbia Palustris. 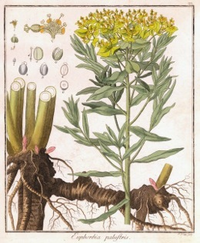 It is one of 66 deadly poisonous plants in Denmark. It is beautiful and very common. In the piece I wanted to transform the effect the poison would have one a human if someone ate it. 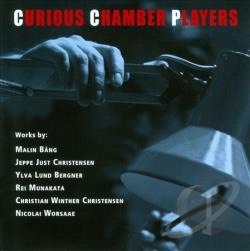 The piece has gotten a prize from the Danish Art Council and also been recorded at dB Productions with ensemble Curious Chamber Players with the conductor Rei Munakata. Euphorbia is a part of my flower serie ”Flora". Other pieces in that serie are LoveendL, Sigh, R. Tilia!, Aq-V-le & Myosotis. This piece is published on Edition-S. For more information about the piece or other, send an e-mail to info@edition-s.dk. For only information about hiring material, send an e-mail to sales@edition-s.dk. Live performance with the Swedish ensemble Mimitabu playing on the 27/2 2017 in Gothenburg, Sweden, during the Geiger festival.